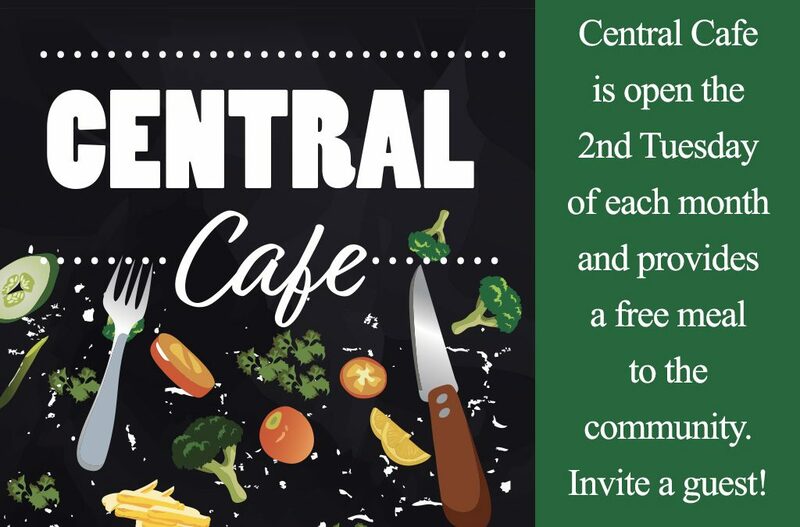 Central Cafe is open the 2nd Tuesday of each month and provides a free meal to the community at 5:30pm in the gym of Central Christian Church. Invite a guest! If you’d like to help serve, see Becky Hopf.